My husband and I are the kind of self-employed entrepreneurs who have a lot of little income streams that, as it were, flow into larger tributaries of income. As much as this helps our savings account grow a bit bigger each year, it can make our bookkeeping a lot more difficult. (Ideally, to continue the metaphor, our savings account would be the ocean—but that’s a metaphor, not reality!) It would make us crazy to have a separate credit card and bank account for each little hobby that the IRS sees as a “business”. No matter how hard we try, there are always receipts that include split expenses. And I’m convinced that reimbursements are the bane of my bookkeeping existence. This means that our accounting needs are a unique blend of personal and business. A small town bank, half a dozen Schedule C businesses, with business expenses spread across credit cards and taxable income in different bank accounts. And I wanted it to all come together in one accounting solution. I used Microsoft Money for years, but as it “sunset” I went searching for something that would automatically import bank accounts and credit cards. I purchased Quicken Home and Small Business and used it for several years, but the general clumsiness of the program and the way it did not interact well with my banks had me on the search again. Everything I read seemed to indicate that QuickBooks was “more” than I needed. But after using QuickBooks Online for our farm’s accounting for six months, I was in love. So much so that I did a massive export/import from Quicken to QuickBooks Online in the middle of August. I was that desperate to get everything into QuickBooks. QuickBooks Online isn’t free and it isn’t perfect. But it’s saved me immeasurable time and too many headaches this past year. And did I mention that I’m already done with my tax-related bookwork? Since I categorize transactions weekly and reconcile statements monthly, there was nothing to do after the year’s end. I repeat, nothing. 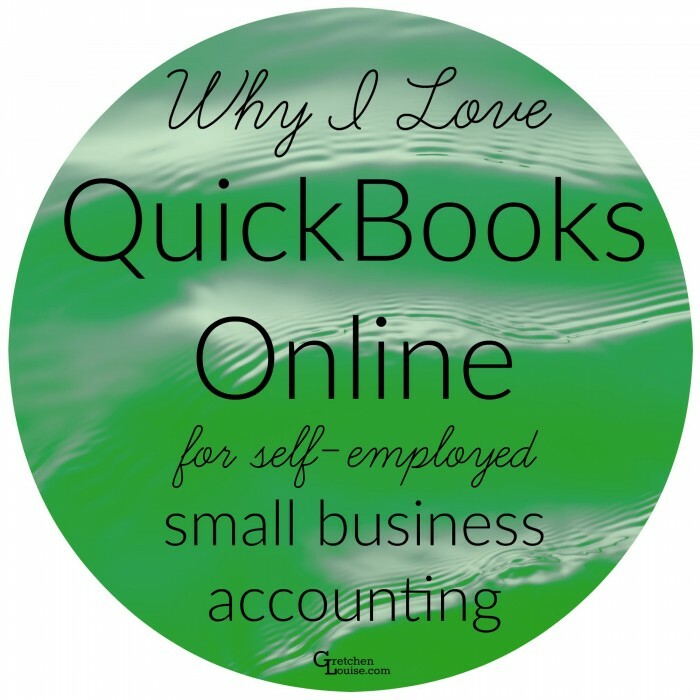 Except for writing this post telling you about how much I love QuickBooks. Automatic download from every financial account we have is absolutely crucial to my sanity. I’ve tried the method where I keep a stack of receipts to enter later, and it just never happened. I also do not have time to download fifteen different files from half a dozen different banks and credit card accounts and upload them to the right place with the right settings. We pay our credit cards off each month so we have decided to use them for almost everything in order to make it easy to track all our expenses, as well as earn credit card rewards. Some accounting programs hide the “split” option behind several mouse clicks. QuickBooks gives me the option to split almost every transaction with just one click. This is crucial, because sometimes Maintenance and Repair happens on the same receipt as Chicken Feed. Because I don’t use a pen and paper check register anymore, I manually enter in QuickBooks the few checks I do write. When the check clears my bank, it is imported from my bank and shows as a possible “Match”. It’s green if it’s an exact match down to the penny and check number, it’s gray if it’s a partial match (i.e. different check number but correct amount). This is 101% easier than the pen and paper check register. Match also applies to transfers and credit card payments that QuickBooks is matching between accounts. I love the fact that when I’m working on accounting, I can click the search button and find any transaction almost instantly if it’s in QuickBooks. Feeling déjà vu as I manually enter an expense? I can search to see if I’ve already added it. Trying to find a transaction that’s showing one place and not another? I can see where QuickBooks has it, or if QuickBooks has it twice. The power of search. There’s nothing like being able to print out a bunch of different profit and loss reports to go over, whether it’s on a money date with your husband or at a staff meeting with the rest of the business. Thanks to QuickBooks Online, I can customize reports and then choose to print them out or email them as a PDF. The more expensive your version of QuickBooks online, the more advanced reports you can create and customize. While QuickBooks is not currently my primary client invoicing system (I now use Dubsado for client contracts, time tracking, and invoicing), I still use the invoice option in QuickBooks on a regular basis. Whenever we go to Costco, we’re always getting something for someone else in the clan. And that’s just the beginning of the reimbursements, thanks to cell phone family plans and so much more. I got tired of the IOU sticky notes and receipts we had all over our house, only to be rediscovered when we could no longer remember if they had paid us. But now? I just create an invoice in QuickBooks, and when we get paid that money goes right back into the “Reimbursed Expenses” category in QuickBooks so it doesn’t look like we spent all that money we didn’t really spend. I want to be able to check our spending and categorize expenses when I’m on the road just as easily as when I’m sitting at home at my desk. I want my husband to be able to open the app on his iPhone to enter an expense just as readily as I can on my Android. I love the fact that QuickBooks Online is in the cloud because I can access it anywhere I have an internet connection, without ever having to wait for a massive software program to load. And did I mention that we can give our CPA a login so that we can give them a call in October and ask them if we should plan on a few more end of the year expenses? Cloud accounting for the win. I don’t keep a paper check register anymore. It’s all in QuickBooks. And it’s all in the cloud. I don’t want to have to freak out that I’m going to lose my financial records every time my computer makes a noise. Peace of mind is priceless. If the internet is slow for the day (rural living comes with many benefits, but fast, reliable internet is not one of them), then QuickBooks Online will be slow. That just comes with the territory, unfortunately. Depending on what you’re doing, the QuickBooks Online web page may reload after you save transactions. This means that if you’re editing a long list, it’s often going to take you back to the top of the list, instead of bringing you right back to where you were working, because it has essentially reloaded the page. This is a bit aggravating when compared to actual accounting software, but for me, the benefits of the cloud outweigh the annoyance. Which version of QuickBooks Online do you really need? I signed up for a free trial of several different levels of QuickBooks Online so that I could figure out which features I really needed. I landed on Essentials. Self-Employed doesn’t let you create any of your own categories, but simply gives you the choice of business or personal for every expense, and the categories are pre-selected to match tax forms. Upgrade for integration with TurboTax to make doing your own taxes a breeze. If you don’t care about custom categories and only want to keep track of tax-related expenses, this would be the perfect solution for you. Simple Start will probably work well for the majority of self-employed small businesses owners. It just didn’t offer me enough report customization options (what can I say, I like custom reports!). Essentials seemed to be the happy medium between no customization options and more features than I needed. Since I purchased QuickBooks through Costco, Essentials was the cheapest option available to me, and hardly cost more than a regular subscription to Simple Start. I started with a one-year subscription to Essentials knowing I could upgrade if I wanted to later. How can you get the best deal for QuickBooks Online? I hesitated initially to pay for a bookkeeping tool that would require constant payment to keep it active. But when I compared a regular monthly or yearly payment to the huge cost of buying a software program that would quickly become outdated, I realized that QuickBooks Online really is a comparatively cheap and easy solution. Plus, they say time is money, and the amount of time I’ve saved by using QuickBooks has definitely earned me money elsewhere. Not to mention the fact that I’m hopeful we’ll be saving on our CPA fees because everything will be a lot more organized when we turn it over to him. That being said, it’s possible to get a better deal on QuickBooks Online if you shop around. Here are some ways I’ve found to save. If you sign up and pay right away, you’ll get the best discount available through Intuit itself for QuickBooks Online. But that discount will likely be locked in for one year only. If you sign up for the free trial, you may not automatically receive the better discounts they offer customers who pay immediately (I didn’t). Hold out for a good discount, even if it means calling and waiting on the line for customer service. If you’re a Costco Executive member, you can sign up for QuickBooks Online through Costco (go to Costco.com and search for “QuickBooks Online” or click here) for a substantial discount off your monthly bill that will last as long as Costco offers it (longer than the one-year discount Intuit gives). But compare prices! Depending on your Costco membership level, the better deal may be to “order” QuickBooks Online through Costco.com (go to Costco.com and search for “QuickBooks” or click here) and have the activation code shipped to you rather than signing up online. Is QuickBooks more than you need? Check out my friends’ reviews of Mint (free budgeting app) and YNAB (powerful personal budgeting app). Looking for a cheaper option? Wave Apps Accounting is free and works similarly to QuickBooks Online, though it doesn’t seem to have as much bank accessibility. Want to check out the competition? Xero and Zoho Books are some of the primary competitors. But once I found QuickBooks Online, I had no desire to look any further. Really prefer desktop software? QuickBooks has a great family of software. And if you’re doing separate bookkeeping for many different businesses, then the software is definitely your best bet. « The $70,000 reason we use YNAB. Hi Gretchen! Great post! We have been using the Desktop version of QB (equivalent to QB online). It’s really more than we need, so I thought we’d try QB Self-Employment. My question is, do you use something different for your personal expenses. I like to keep track of what we spend on eating out vs groceries, clothing, education, etc expenses. Any suggestions? I thought about running Mint for personal & QBSE for business. Hello Susan! I keep track of all of our accounts in QBO–but I also keep track of our personal expenses separately in YNAB now, as well. 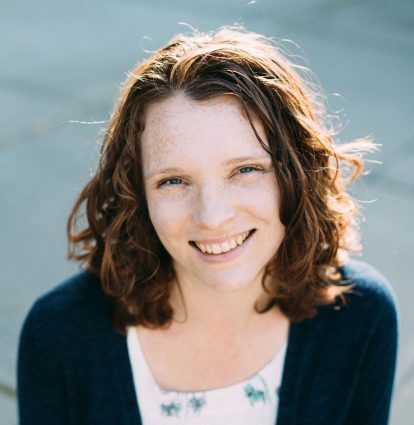 Here’s my friend Rachel’s post about YNAB. I hope that helps! Thank you. Thanks for sharing your thoughts about Quickbooks Online. I am hearing a lot of things about it too from my friends. I ‘d like to try it. I think that it will be useful for managing my small business.